For 15 years, Dr. Seth Thaller and his team with Project Medishare have taken humanitarian medical trips to Port Au Prince, Haiti, every quarter. Some trips have been postponed due to social, political, or environmental factors, but whenever the barriers clear, the Miami-based doctor and his team are back helping the community. 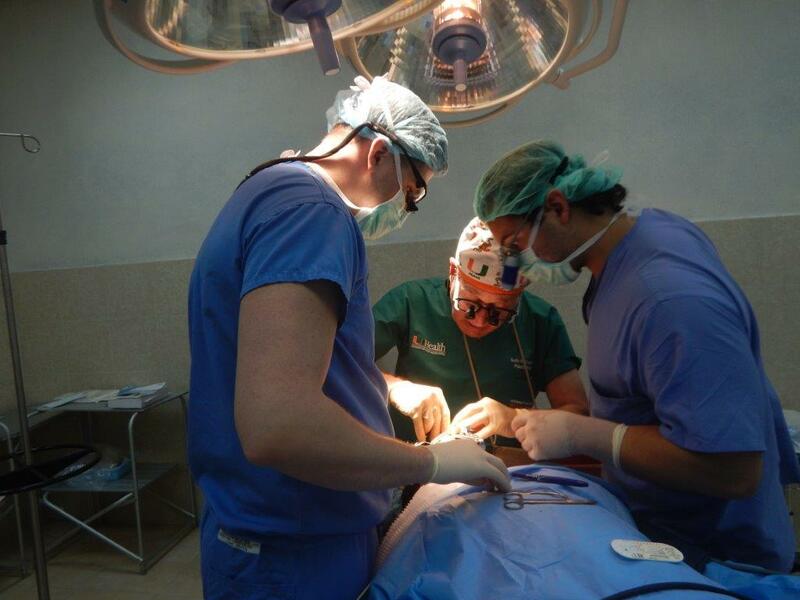 Dr. Thaller’s team has treated hundreds of patients on these trips. Most need surgery for cleft lips, cleft palates, or significant burn injuries, patients with issues so severe that they struggle to adapt to regular society. Patients just like the 38-year-old woman Dr. Thaller treated on his most recent visit to Haiti. The woman suffered from a cleft lip. She complained of breathing issues and had trouble eating. She talked about the shame she felt from her facial appearance and how often she noticed people staring. A mother of two, the woman dealt with the issue her entire life. Now, the woman never has to be ashamed again. The woman was one of 22 patients Dr. Thaller’s team operated on during a recent trip to Port Au Prince. Although the trip was a familiar one for Dr. Thaller, there was a change this trip. This time Dr. Thaller traveled as a member of the inaugural class of the RealSelf Fellowship. The RealSelf Fellowship awards funding for medical professionals donating their time and expertise to deliver care and training in underserved communities around the world. Project Medishare is entirely self-funded and relies on programs like the RealSelf Fellowship to make these trips possible. Haiti is the poorest country in the Western Hemisphere. There is desperate need for improved medical care. Not only for reconstructive surgical care, but for even routine, basic healthcare. Patients travel from all over the country just for the chance to receive care from visiting doctors. The trips are not only vital to the patients who undergo operations, but also for training and improving the standard of care. “We have definite plans to continue our enduring promise to our Haitian neighbors,” Dr. Thaller said in an interview with RealSelf. The procedures Dr. Thaller and his team performed don’t just fix issues, they change lives. The conditions can be debilitating and fixing them can be a platform to return to society whether it’s a child returning to or starting school, or an adult getting back into the workforce. To make a sustainable impact, the effort needs to go beyond performing a couple dozen surgeries once a quarter. That’s why education is such a focus of the trips. Dr. Thaller said his staff works with the local care providers to assist in pre- and post-operative care. They also work with local surgery residents. “They were able to closely observe our surgeries, and we could teach them directly,” Dr. Thaller said. “You will always get more from these trips then you are giving,” he said. Learn more about the RealSelf Fellowship and how to apply here.